“I particularly enjoy rhinoplasty surgery because of the positive impact this procedure can have on a patient’s appearance and self confidence. No two noses are the same, and every case deserves careful thought and planning. The nose is such a central feature on the face that even small changes can be dramatic. ” Roy David, MD. Our practice specializes in various aspects of rhinoplasty – nose job surgery and Dr. David performs up to 15 rhinoplasties per month. You are invited to visit our ethnic rhinoplasty and revision rhinoplasty pages and photo galleries. Click here to read rhinoplasty reviews. Rhinoplasty is a delicate operation, and requires careful planning and meticulous technique. It is considered one of the most challenging plastic surgery procedures. 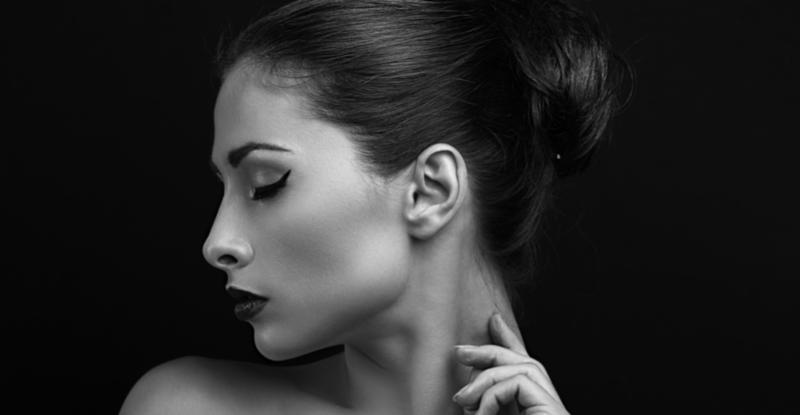 Your end result will depend on the experience and skill of your rhinoplasty surgeon. It is important to examine multiple before and after photos, from multiple angles, to evaluate your surgeon and to determine the type of result you are likely to obtain. Our La Jolla office welcomes patients from across the country seeking Dr. David’s expertise in nasal surgery. Call our office today at 858.658.0595 to schedule your consultation! It is important to remember that rhinoplasty surgery is part art and part science. The artistic part involves the surgeon listening to his or her patient’s desires for improvement, and then meshing these desires with his own aesthetic standards and skill to obtain the best possible result. The goal is to create an attractive, aesthetic nose that is in balance with the face, but will also be natural-looking. The science of rhinoplasty involves creating a nose that will withstand the test of time and maintain its structural integrity, as well as its functionality as an organ of respiration. At your consultation in our La Jolla office, you will meet our patient care coordinator, who will strive to make your visit as enjoyable and informative as possible. Photos will be taken for medical record purposes, and you will then meet with Dr. David for an in-depth examination and discussion. Dr. David performs many rhinoplasties for teenage patients. Click here to read Dr. David’s thoughts on teenage rhinoplasty. Computer imaging is a very useful tool we use in our San Diego office to enhance patient understanding and to set realistic goals. Using the computer, we are able to show our rhinoplasty patients what they may look like after surgery, and this generally leads to greater satisfaction with the results. Please note: all before/after pictures in this website are actual and unretouched patient photos. In planning your rhinoplasty, it is important to take into consideration the need for any functional surgery to correct blocked breathing passages in the nose. This may relate to a deviated nasal septum, hypertrophy of the nasal turbinates, or inward motion of nasal sidewalls with respiration (nasal valve collapse). If such a problem exists, this portion of the rhinoplasty may be covered by your insurance. Our patient care coordinator will discuss rhinoplasty cost, as well as financing options and military discounts. In many cases rhinoplasty can be performed with no external incisions. If the nose requires advanced tip sculpting, or reconstruction of the middle third of the nose, you may be a candidate for “Open Rhinoplasty.” The open approach involves making a short incision along the bottom part of the nose which allows direct visualization of the nasal components. This open rhinoplasty incision generally heals with an imperceptible scar which is of no concern to the patient. An experienced facial plastic surgeon is equally comfortable with an “open” or “endonasal” approach, and Dr. David will choose whichever approach best suits your nose. *The rhinoplasty procedure may take from one to three hours, and is usually performed on an outpatient basis at our fully staffed, AAAHC certified surgical facility. Most of our San Diego rhinoplasty patients will go home that afternoon, however some who travel a distance prefer to stay overnight in the nearby La Jolla Sheraton hotel. Anesthesia for facial plastic surgery is usually a general anesthesia or IV sedation, depending on patient preference and length of the procedure. Upon awakening from surgery, your nose will be covered with a firm external splint, which functions to hold the nasal bones in place and to protect the nose. The splint will remain in place for one week. While pain is normally quite minimal, all patients receive pain medication, as well as a brief course of antibiotics and medication to reduce swelling. Breathing is generally stuffy the first night, but the next day you will return to our office for a brief post-op visit and a small bit of gauze is removed from the nostrils. You should then be able to breathe comfortably. *Many patients are able to return to work or school after two to three days, however most prefer to take a week of vacation around the time of surgery. While you should expect some post-surgery swelling and occasional bruising after rhinoplasty, your nose will be very presentable at one week. Post-operative swelling or edema will largely resolve over the first month, however you may notice subtle changes for up to 3 months and occasionally up to one year after surgery. We often encounter patients for whom the primary concern is breathing well through their nose, rather than the way they look. In these cases, the rhinoplasty procedure may be more “reconstructive” than cosmetic; however, the two can also go hand in hand, as in the following patient. This San Diego patient complained of difficulty breathing through his nose, especially the right side. On exam, you can see that when he breathes in through his nose, the right side collapses shut. This is called “external valve collapse,” and can be congenital (the person is born with it) or the result of prior excessive surgery. To fix this patient’s breathing problem, a septoplasty was performed to straighten the cartilage inside his nose, and the “extra” cartilage from his septum was grafted to add support to the areas of collapse (this is similar to the way battens help to support the sail of a ship). This, along with some minor cosmetic work on his tip produced a dramatic improvement in his breathing, as well improving the “pinched” appearance of his nose. For a nose job or rhinoplasty in San Diego, California contact our practice today at 858.658.0595. Q: Will my nose be “broken” during surgery? A: Osteotomies, or fine cuts in the bone, are often used to narrow the upper third of the nose or close an “open roof” following hump removal. This may lead to minor bruising and swelling, which usually resolves by the time of splint removal in one week. Q: Will my nose be packed? A: We rarely pack the nose, because the use of fine osteotomes and precision instruments has reduced bleeding concerns. A fine gauze is inserted for one night to absorb drainage, and this is removed the next morning after surgery. Q: When will my nose look good? A: *In one week, the splint will be removed, along with any possible sutures. At this time the nose will be slightly swollen, but in most cases already looks significantly better and ready to be seen. Most of the swelling will resolve in about 4 weeks, with the nose continually looking better. Q: How much time off from work/school do I need for my rhinoplasty? A:* Most patients take one week off for privacy reasons, but you can likely be at your desk or computer within a day or two. Q:My friend only paid—–dollars for her rhinoplasty, why is it more expensive here? A: *Rhinoplasty is the most complex cosmetic surgery procedure, with some procedures lasting 3-4 hours. Your rhinoplasty cost at our practice includes surgeon’s fee, anesthesiologist’s fee, operating room fee, as well as all follow up care and appointments for one year, along with surgeon’s fees for any minor touch-ups. Surgeon’s fees vary according to experience and skill of the surgeon. We feel that cost should not be the main consideration when planning surgery on this most central feature of the face, but we understand it is a factor for many patients and financing is offered.